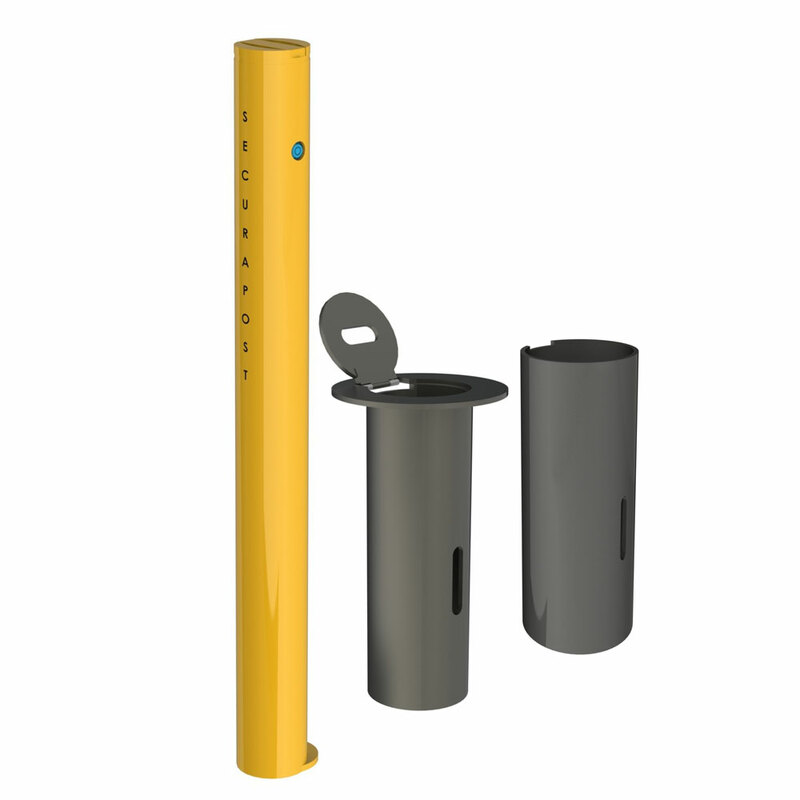 Locking and removable bollards are removable and come with an internal locking mechanism which is operated at waist height so much easier to operate than a padlock. The bollards will be supplied keyed alike unless requested otherwise. There are two sleeve options being with or without a hinged cover plate. 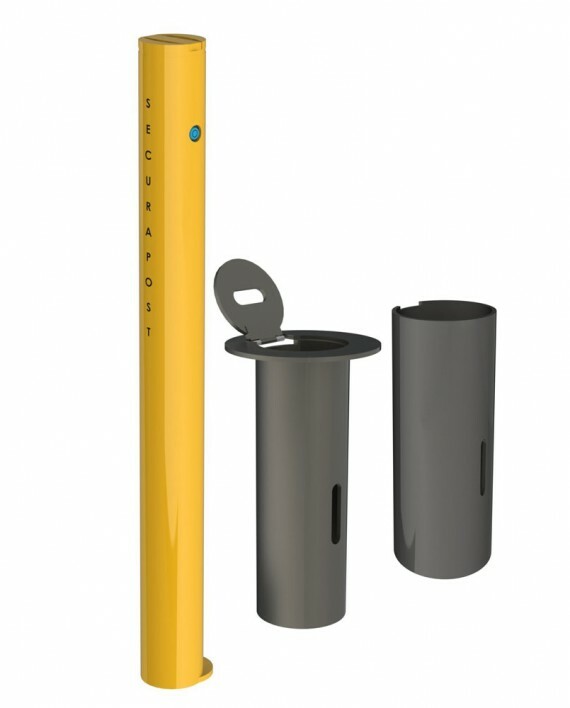 A sleeve is required for the locking and removable bollard to lock into.